In 1953 Congress officially declared Alexander Cartwright the inventor of the modern game of baseball. Before that, a heated battle went on debating whether Cartwright or Abner Doubleday was the true inventor. To this day scholars still debate over it, but Cartwright is recognized as the true inventor of the modern game. 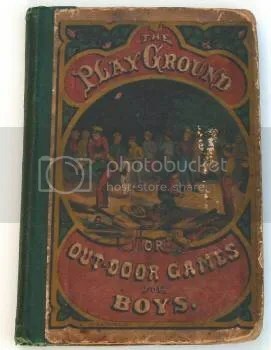 One of the pieces of evidence used in the investigation to help declare Cartwright the true inventor was a book published in 1866 titled The Playground or Out-Door Games for Boys. Inside it describes various activities for children to participate in so they could get some outside activity. One of these activities is the game of Base-Ball. It takes you through the basic rules of the game and teaches you everything from how the bases work to how you should use the bat. 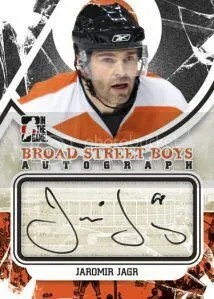 This sure isn’t something you see everyday. 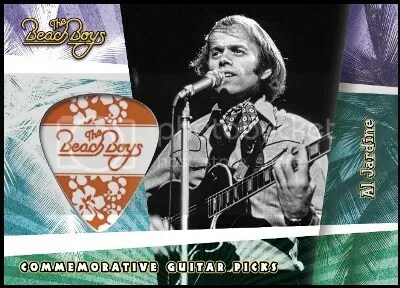 Recently a copied surfaced on eBay and the seller was asking $3,500.00 for it. 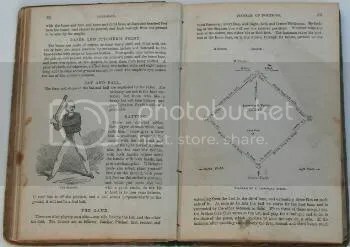 I think its really interesting to see the game of baseball referenced in such an old book. Believe it or not, but the world “baseball” was used in a book published in the 18th century, many years before the one pictured below. Good luck finding either. Both are extremely rare and expensive. 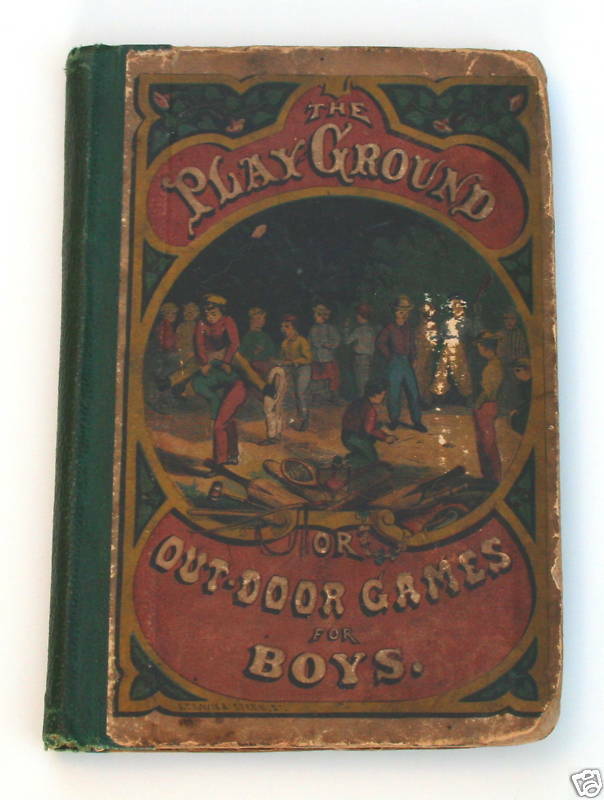 When this book was published, Connie Mack was only 4 years old. 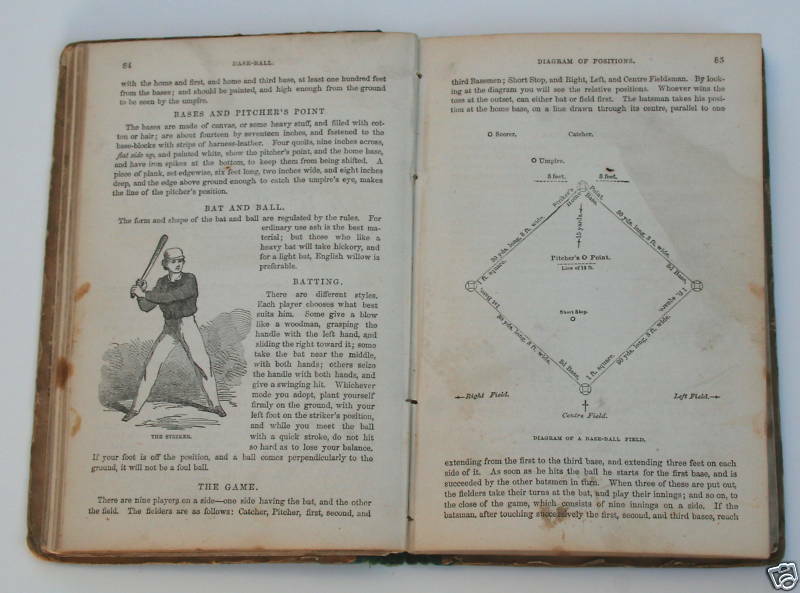 For a true baseball fan, this book would make one cool collectible.